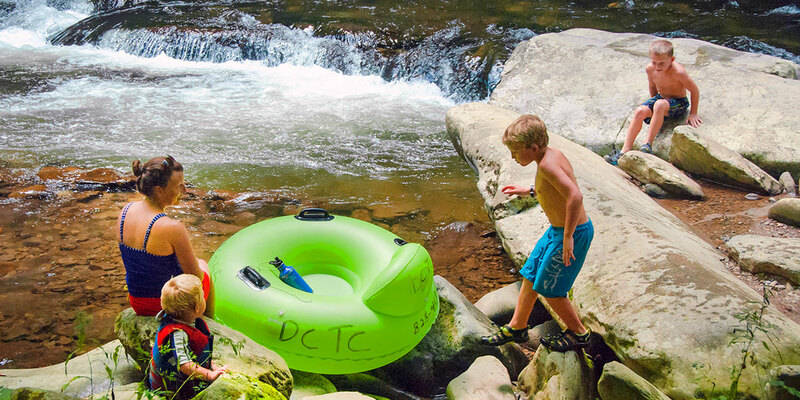 For years, generations of fun-loving vacationers have been coming back to Deep Creek to experience the thrill of riding an inner tube down the rapids of this mountain stream in the Great Smoky Mountains National Park.  The one-mile stretch of Deep Creek in the National Park set aside for tubing is divided into two sections, as shown on our Deep Creek Trails & Waterfalls map. With no vendors inside the National Park, all tubes must be carried on your vehicle to the Deep Creek trail head parking lot and then hand-carried to the tubing put-in. Our brightly-colored vinyl tubes are very light-weight and easy to carry. If you want to stay close to your campsite, you can have lots of fun just floating in Deep Creek at the campground. The upper section is narrower and offers the most white water. It also provides the most thrilling Deep Creek tubing. This is a wild, bouncy ride that can separate the rider from the tube, especially when the water is swift after a rain. The lower section is wider and a bit calmer. It's perfect for younger kids and less-adventurous adults. Many of our campers continue tubing all the way back to the campground, just a half-mile downstream. Swimming. Between the two sections you'll find one of the best natural swimming holes in the Great Smoky Mountains National Park. 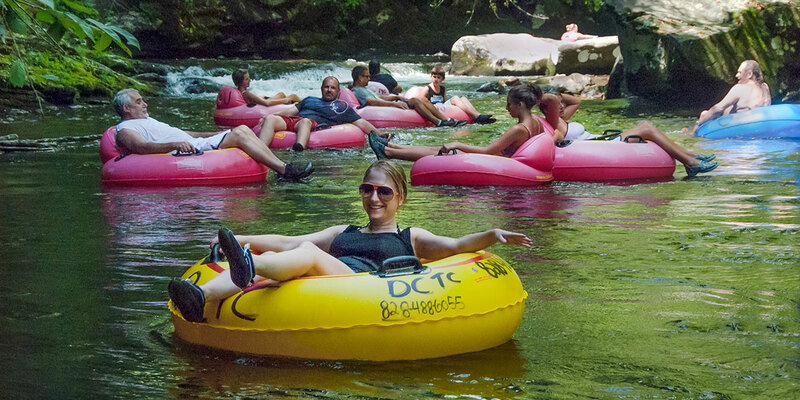 Deep Creek Tube Center & Campground rents light-weight vinyl tubes for $6 (all day rental). Tubes are available at a discount to registered campers and groups. Life jackets are available for children. Our camp store also sells creek shoes and other tubing accessories and souvenirs.